CEM 2.01 Professional Edition (CEM 2.01 PE) is the personal computer version of Parts I through VI of the CEM and is a fully interactive, multi-media resource, containing programmed formulas and live/interactive graphs. This electronic version was produced by Veri-Tech, Inc. under a Cooperative Research and Development Agreement with the U.S. Army Engineering Research and Development Center, Waterways Experiment Station, located in Vicksburg, Mississippi, USA. 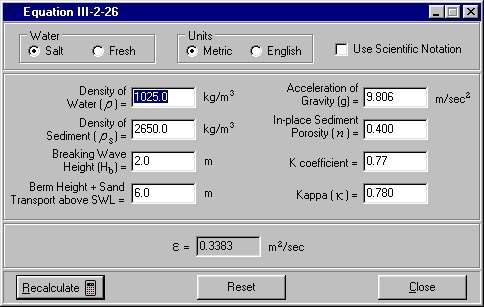 CEM is a Windows-based (’95 or better) CD-ROM software program with content that is totally consistent with the text version released by the U.S. Army Corps of Engineers. It incorporates all the tools and procedures used to plan, design, construct, and maintain coastal projects. CEM is a comprehensive, state-of-the-art guide including the basic principles of coastal processes, methods for computing coastal engineering planning and design parameters, and guidance on how to formulate and conduct studies in support of coastal flooding, shore protection, and navigation projects. The CEM provides broader coverage of all aspects of coastal engineering than the outdated Shore Protection Manual (USACE 1984). In addition to overall updating, new sections were added on navigation and harbor design, dredging and disposal, structure repair and rehabilitation, beach restoration, wetland and low energy shore protection, cohesive shores, risk analysis, field instrumentation, numerical simulation, the engineering process, design fundamentals, reliability-based design, monitoring, and other topics. CEM 2.01 PE is written in Visual C++, allowing fast operation speed. The basic screen layout is a left-handed tree view control panel with a right-handed panel display for the HTML and applets that make up the “Live Document”. CEM user interface consists of an integrated set of windows, tools, menus, toolbars, and directories that allow the user to easily move through the entire CEM, using rigorous cross-indexing and search features, to access desired information. 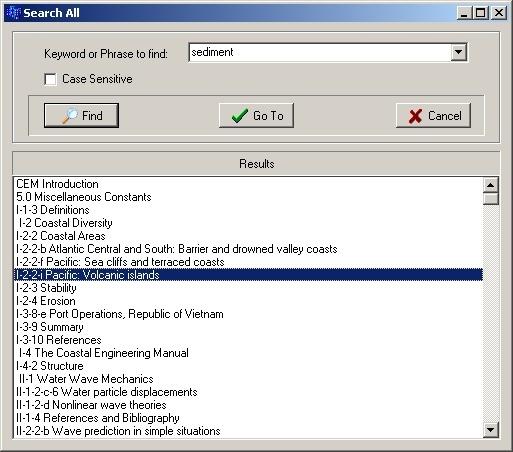 Hot-Keys exist throughout the manual that lead the user to an interactive toolbox containing a variety of coastal engineering numerical models. The Coastal Engineering Design and Analysis System (CEDAS) is a valuable companion to the CEM. Many equations in the CEM are programmed, but with the purchase of CEDAS a complete array of sophisticated models are available at the touch of the mouse. Computer Requirements. Minimum computer requirements call for Windows 95/98/2000/XP/NT(4.0 with Service Patch 3.0 or later), a Pentium PC, and 32 Mb RAM. However, it is highly recommended that the device you use have at least 64 Mb RAM. In addition to a faster chip speed, making more memory available to the system will greatly speed the functionality of the CEM. When installed, CEM 2.01 PE will require approximately 150 Mb of storage on your hard drive. It is recommended that you set your Windows display resolution to 1024×768 for best viewing results. Browser Requirements. CEM requires Microsoft Internet Explorer (IE) 5.0 or later. The CEM has been written to take advantage of the existing Active X engine technology included within IE for displaying the content of the CEM using the industry standard Hyper-Text Markup Language (HTML) and JAVA applets. You are not required to use Internet Explorer as your default browser. Hot Keys. Equations, figures, tables, graphs, and references are “highlighted” throughout the HTML text. Clicking on the highlighted item brings it to the current browser screen. A simple click of the Back button brings you back to where you were. CEM 2.01 PE has a Help File accessible from the Help menu item. A Toolbar area is provided that contains a few different navigational components that provide navigation of the CEM. The Navigation Bar provides user-friendly navigation similar to desktop browsers. The Navigation Bar has been retooled with this release to show the possible navigation options in relation to which of the Content Tabs (Contents / Figures / Tables / Examples) is currently selected. The Address Bar has two parts, the Bookmark options area and the Content Topic area. A simple splitter bar allows resizing of these two parts as needed. A Bookmark may be set at any time, from any page, and from any Content Tab. Once a Bookmark is set the “Go to Bookmark” button will return to the page and Content Tab where the Bookmark was initially set. More detailed bookmark options can be set from the “Page / Bookmark Options” menu item, such as having a bookmark set the initial CEM page at startup. A “Go to Content Topic” button allows navigation from any Content Tab to the Contents. As an example, if you are looking at a specific Table from within the Tables tab, pressing the “Go to Content Topic” button will make the Contents Tab the active tab and navigate to the page that was made active from the Tables tab. This will allow you to easily navigate to the CEM pages surrounding the figure / table / example you are currently viewing. The Page Notes editing area not only allows entry of “Unique” text, but the notes will automatically be displayed when a page is revisited that contains previously entered notes. The notes are saved based on the active page and Content Tab. The Status Bar, appearing below the dual-window screen, displays the proposed or current operation while using CEM. Function of all button and pull-down menus are defined in the HELP files of the CEM. Search Capabilities. Clicking the “Search All” button on the Navigation Bar will display the Search All dialog. You can choose to enter any word or phrase in the search window or choose from a list of keywords provided in the pull-down menu. Click the “Find” button to display all the pages where your selected word or phrase was found. Highlight the desired location and click the “Go To” button to load that location and make Contents the active Tab. Clicking the F3 key will advance you to the next occurrence of your search word/phrase within the active CEM page until the last match is highlighted. Clicking Cancel will stop the search activity and return you to the current page. To only search within the currently displayed page, press Ctrl-F or select the “Page / Find” menu item. Solution of equations and example problems require a variety of numerical techniques. You are permitted to use either Standard International (SI or metric) or non-SI (U.S. Customary or English) units wherever possible. When an equation is invoked by clicking the arrow icon, the default dialog box is set to compute the equation in SI units. If appropriate, the solution is given for both fresh and seawater. Use of scientific notation for the results is an option on every solution dialog box. The Reset button will return all of the default data for this equation. To input your own data, simply highlight any input parameter (white background), and enter your value via the keyboard. A plotting option is available on many equations. Results can be saved in a variety of file types. Text file saves do not preserve fonts. Example Problems. Example problems are run interactively by clicking the “hot-key” title of the problem (in most cases) or clicking individual equations within the example problem box in the text. Some “hot-key” equation solutions may be identified by a blue rectangular box surrounding the equation. Computed answers may differ slightly from those given in the text because the coded equations use a standard value and accuracy for known constants. For example, the text may state that g = 9.81 m/sec2. The CEM computer codes use mostly four-digit accuracy for constants, such as g = 9.806 for this case. You may replace these constants with the book values and obtain exactly the results shown in the manual. In some example problems, the input will reflect the coefficient value used in the text. See “5.0 Miscellaneous Constants” for a list of constants used in CEM calculations. Default Data. When an example problem dialog box is invoked, the default data for both input and output results correspond to the example problem. To run the same problem under different conditions, simply highlight the parameter you wish to change and enter your data. Then click the Recalculate button. Clicking the Reset button will return the default data and clicking the Close button will end the calculation and return you to the CEM text. Equations. Most equations in the CEM are interactive and can be run by clicking the Run Equation icon or a box that highlights / surrounds the equation. Default Data. Every programmed equation dialog box contains default data for both input and output results. To run the same equation with different data, simply highlight the parameter you wish to change and enter your data. Then click the Recalculate button. Clicking the Reset button will return the default data and clicking the Close button will end the calculation and return you to the CEM text. Many example problems and equations permit display of graphics associated with the solution. The CEM uses the ComponentOne Chart2D graphics package for plot display. This package has its own extensive HELP files that permit the user to change colors, fonts, symbols, and other characteristics of the plot. 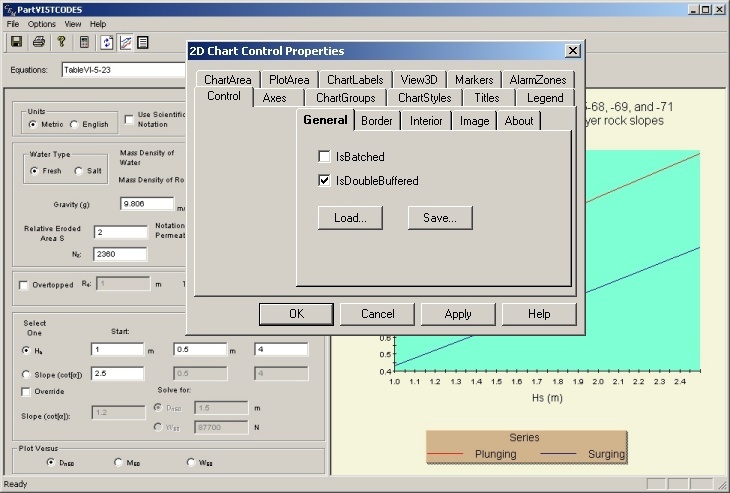 Simply right click the mouse on the graph to bring up the Chart2D dialog box to change any of the default settings for graphics. Most graphs in the CEM are interactive. 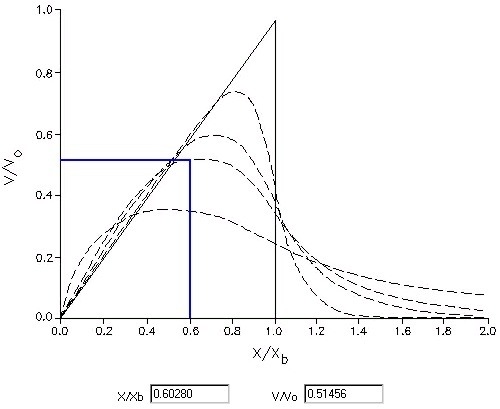 By placing the mouse at any point on the graph, a left click will result in the display of coordinate values at the bottom of the graph as well as coordinate lines from the “selected point” to the coordinate axes. Most material in the CEM 2.01 PE is available for your personal use. Highlight the material you wish to use by dragging the mouse over the desired text, equations, graphs, tables, and / or pictures. A right click of the mouse will give you options to Print the material or Copy it. Limitations. Material retrieved in any form from this product may not be copied and distributed for sale. Personal use of the material is granted only if proper reference is given. Live graphs cannot be copied and pasted into other documents because they are JAVA applets. Useful Keyboard Functions. Print Screen or Ctrl Print Screen will perform a screen capture that can be pasted into other documents. 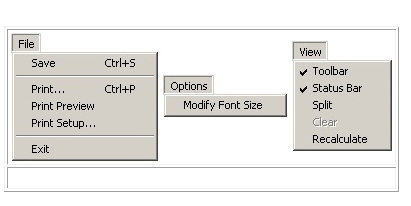 Other key functions are “Ctrl-c” and “Ctrl-v” commands which copy and paste selected screen material. USACE 1984. Shore Protection Manual, 4th ed., 2 Vol., Waterways Experiment Station, U.S. Government Printing Office, Washington, D. C., 1,088 p.
Lee Butler, Veri-Tech, Inc., Vicksburg, Mississippi (formerly Chief, Research Division, Coastal Engineering Research Center, Waterways Experiment Station, Vicksburg, Mississippi – retired). Donald Robey, Veri-Tech, Inc., Vicksburg, Mississippi (formerly Chief, ERSD, Environmental Laboratory, Waterways Experiment Station, Vicksburg, Mississippi – retired).